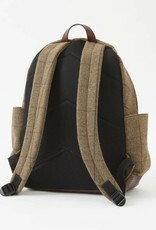 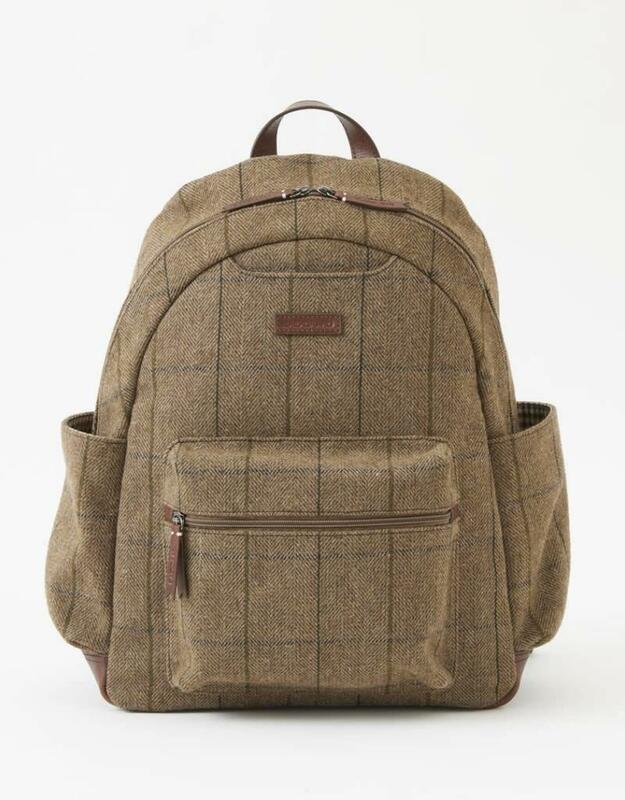 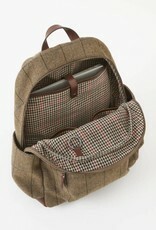 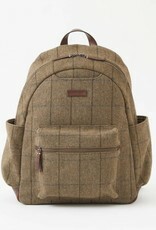 Clark Backpack in wool tweed lined in tattersall plaid and trimmed with Italian leather. 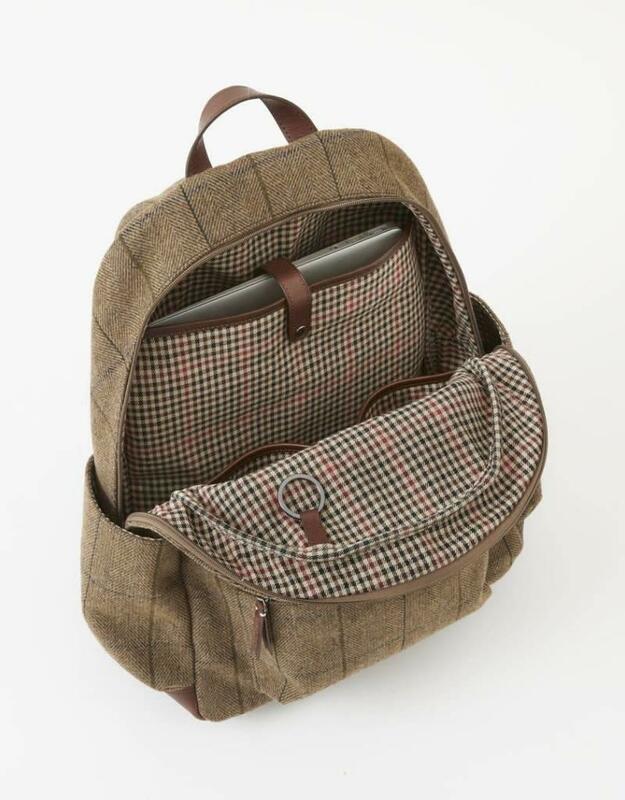 With main compartment having a laptop sleeve and sleek pockets for a cell phone and 2 exterior side pockets for water bottles and umbrellas. 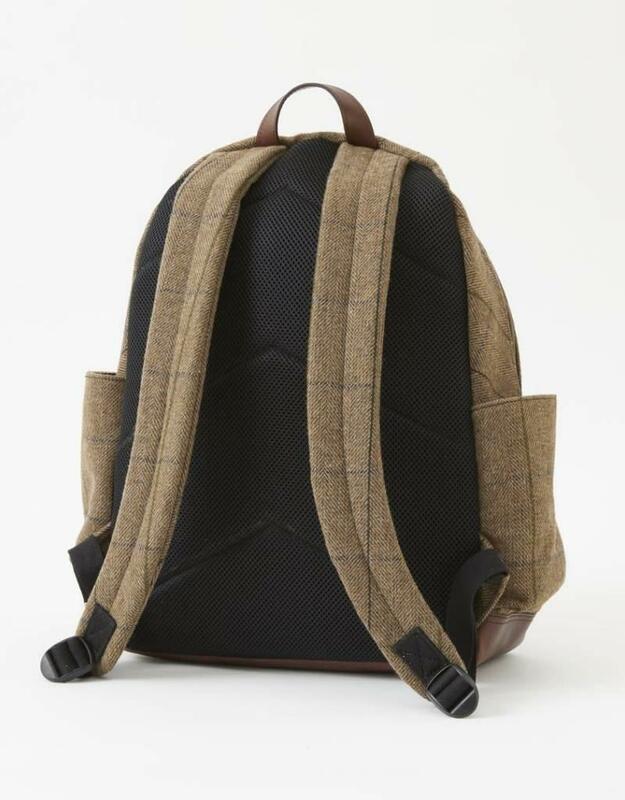 12 1/2 X 5 1/2" X 18"